On the last night of screenings within the Competition Programme, the audience saw the remaining films by young filmmakers. Before the screening, the young directors were greeted by the audience and welcomed on stage. Members of the jury for the Vilko Filač Award and Festival awards jury were also greeted by the audience. 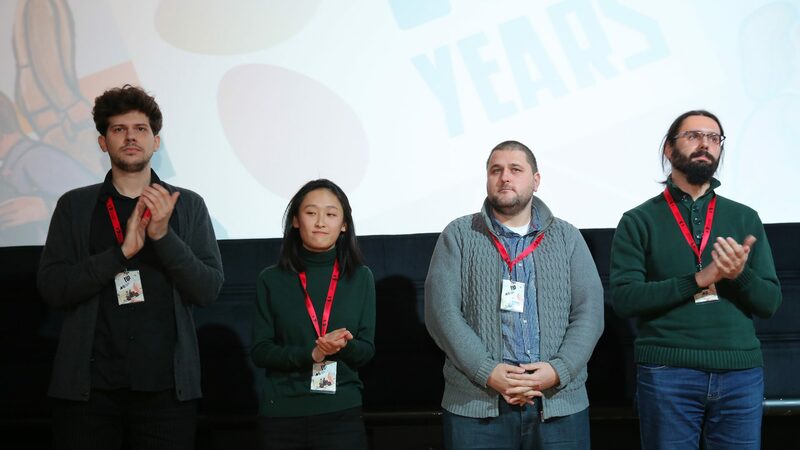 Six films were shown: Co-Drivers directed by Ognjen Isailović, Adrift, Afloat directed by Jo Jo Lam, Before I Sleep directed by Nikolay Todorov, Paparuda directed by Lucia Lupu, Frontier, Bloody Frontier directed by Saša Karanović, and And The Whole Sky Fit In The Dead Cow’s Eye directed by Francisca Allegria.